Aam Aadmi Party has appointed Naveen Jaihind as the new convener of Haryana. 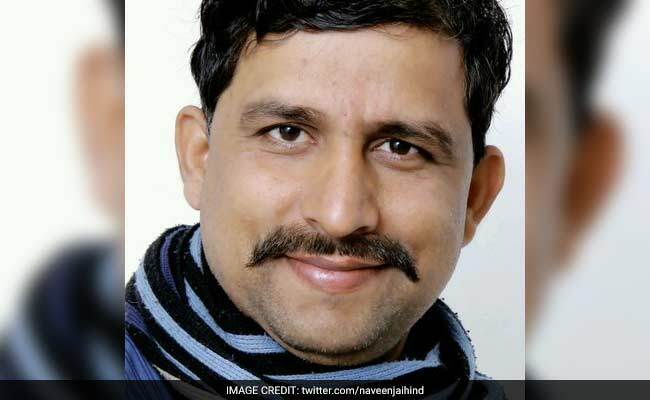 New Delhi: Aam Aadmi Party has appointed Naveen Jaihind as the new convener of Haryana. Mr Jaihind's appointment comes a little more than a year after Yogendra Yadav's expulsion from AAP for alleged anti-party activities. Mr Yadav was in-charge of Haryana then. "Arvind ji has asked us to strengthen the party organisation in the state and prepare the volunteers for the next Assembly polls," Mr Jaihind said. With his appointment, Mr Jaihind, has also become the ex-officio member of the National Executive, AAP's highest decision making body. A staunch supporter of party chief Arvind Kejriwal since Anna Hazare's anti-graft movement, Mr Jaihind has been with AAP since its inception. He is husband of Delhi Commission for Women chairperson, Swati Maliwal.